There are passing mentions of Lida in chronicles from 1180. 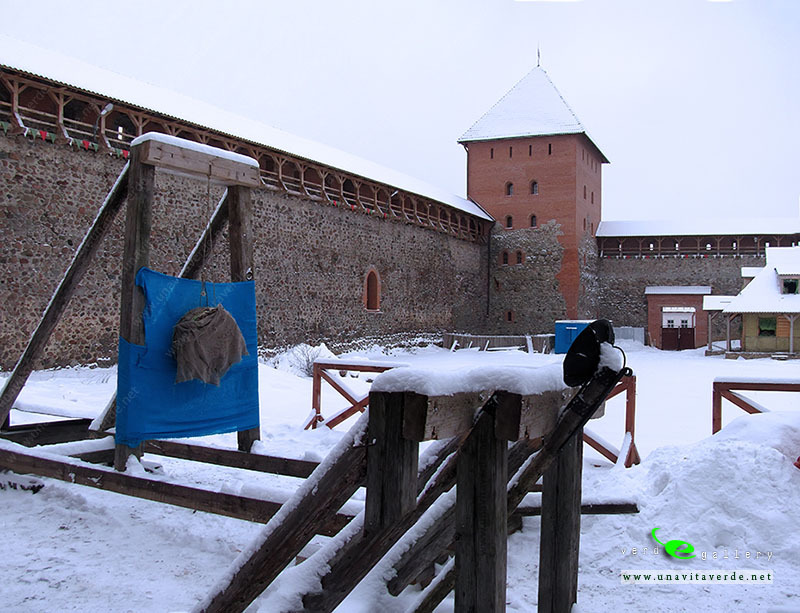 Until the early 14th century the settlement at Lida was a wooden fortress in the Lithuania proper. 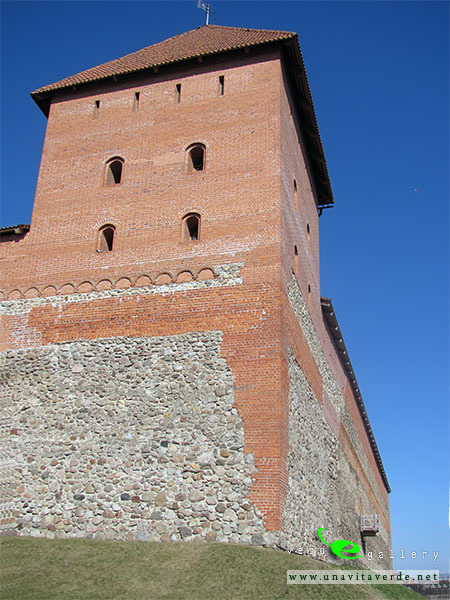 In 1323, the Grand Duke of Lithuania Gediminas built a brick fortress there, it was a real defensive castle in Europe. 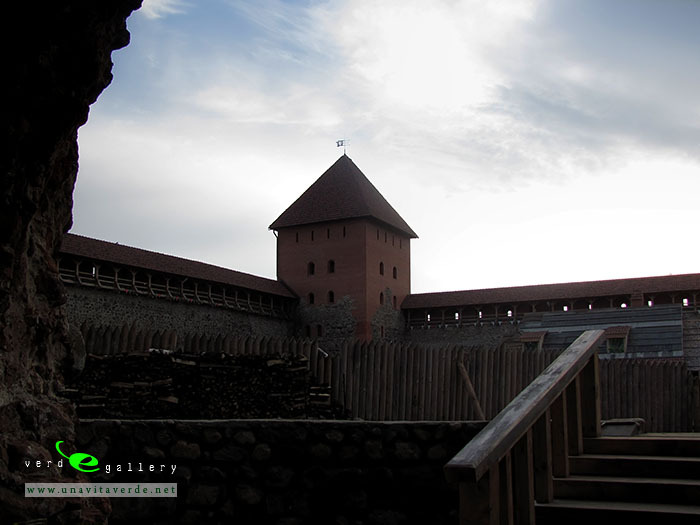 1380 is generally considered the founding year of the city of Lida. 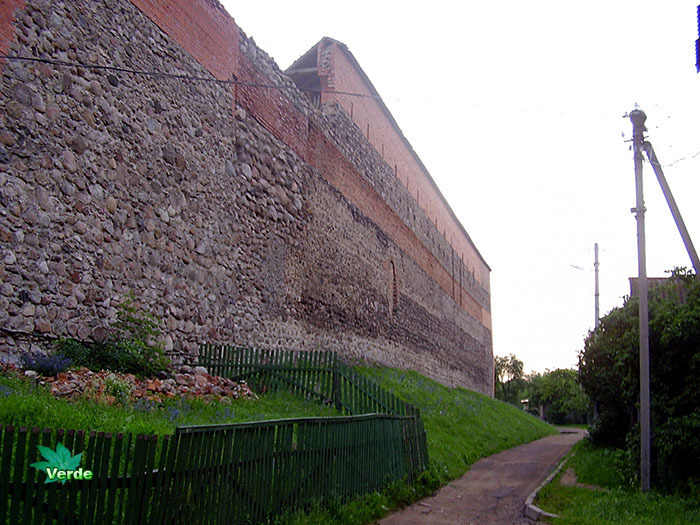 The fortress withstood Crusader attacks from Prussia in 1392 and 1394 but it was burned to the ground in 1710. 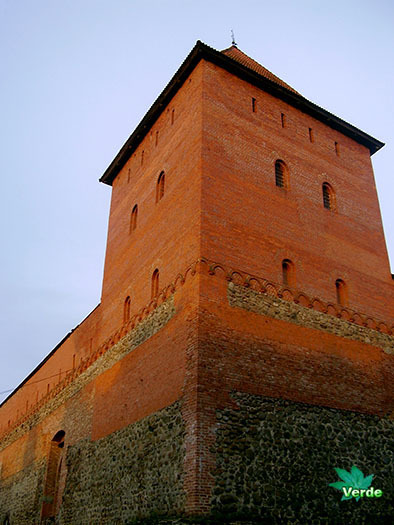 Following the death of Gediminas, when Lithuania was divided into principalities, Lida became the capital of one of them, the seat of Algirdas. 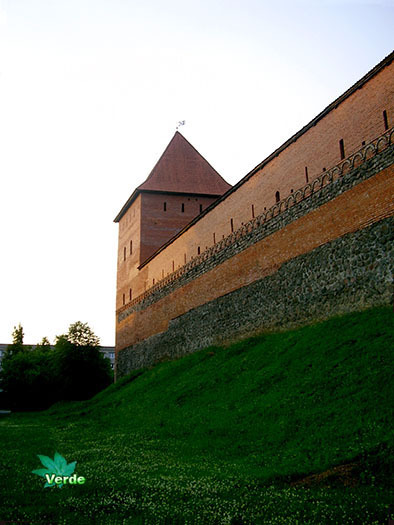 Lida was in the Grand Duchy of Lithuania. 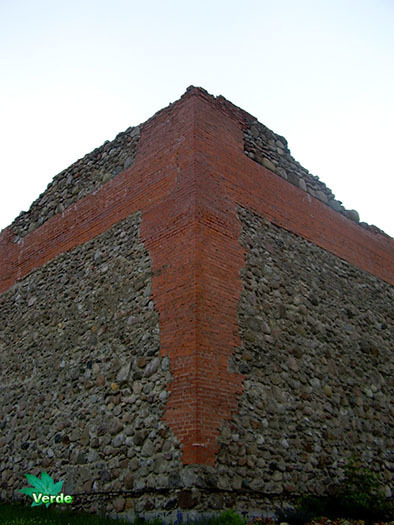 In the second half of the 14th century, after the Christianization of Lithuania the Catholic parish was established in former pagan lands and a Church was built by Jogaila (ruins are still preserved). 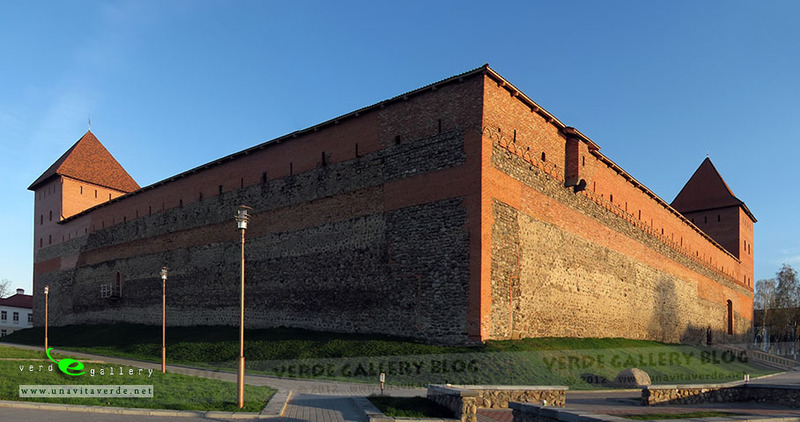 Subsequently in 15th century town became a centre of production by craftsmen and trade. Lida was connected with Vilnius, Navahrudak and Minsk. At that time the town had a market square and four streets Wielenska, Zamkowa, Kamieńska and Krivaya. 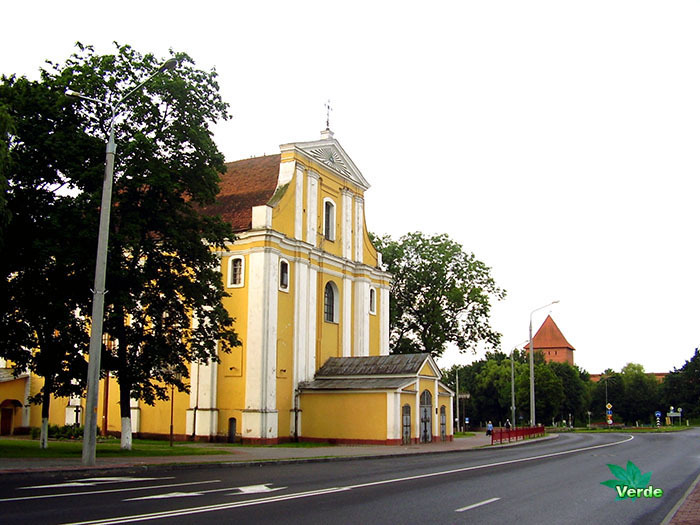 In 1588 Lida became the seat of Lida District in Vilnius Voivodeship. 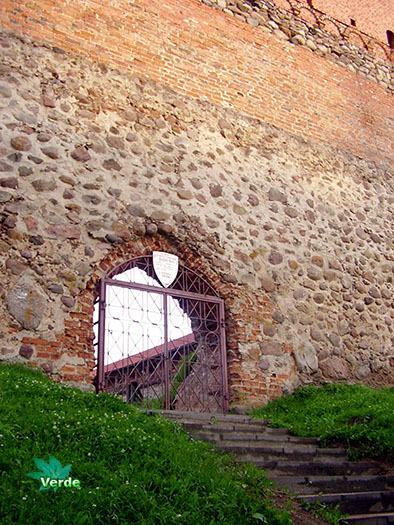 Magdeburg Rights were granted to the town in 1590 and confirmed in 1776 by the Polish Sejm. By these rights Lida held two annual fairs of little import to the local economy. The population was between 2000 to 5000 people. 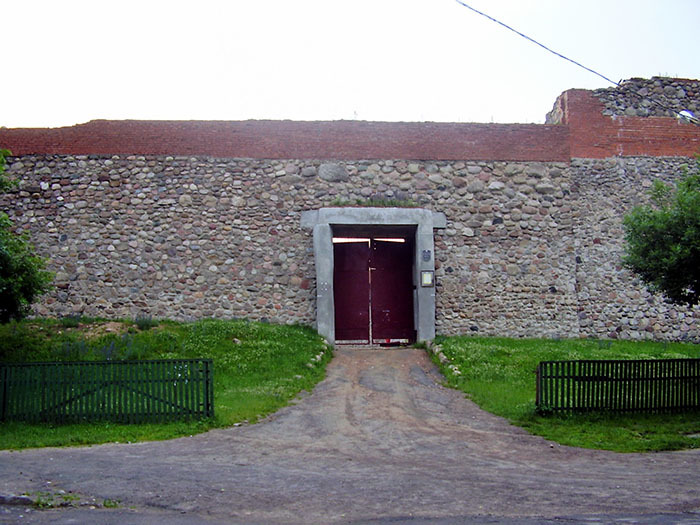 The town was greatly destroyed during the French occupation in 1812. In 1817 the population was 1366 people. 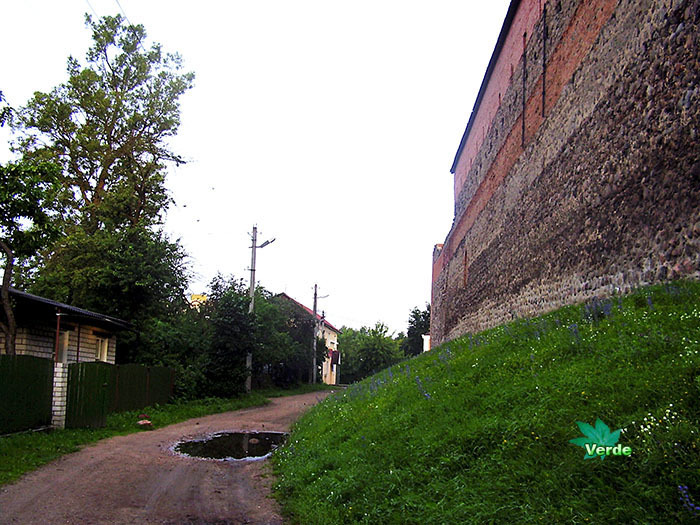 Since 1842 Lida was the “district” centre in Vilna Governorate. 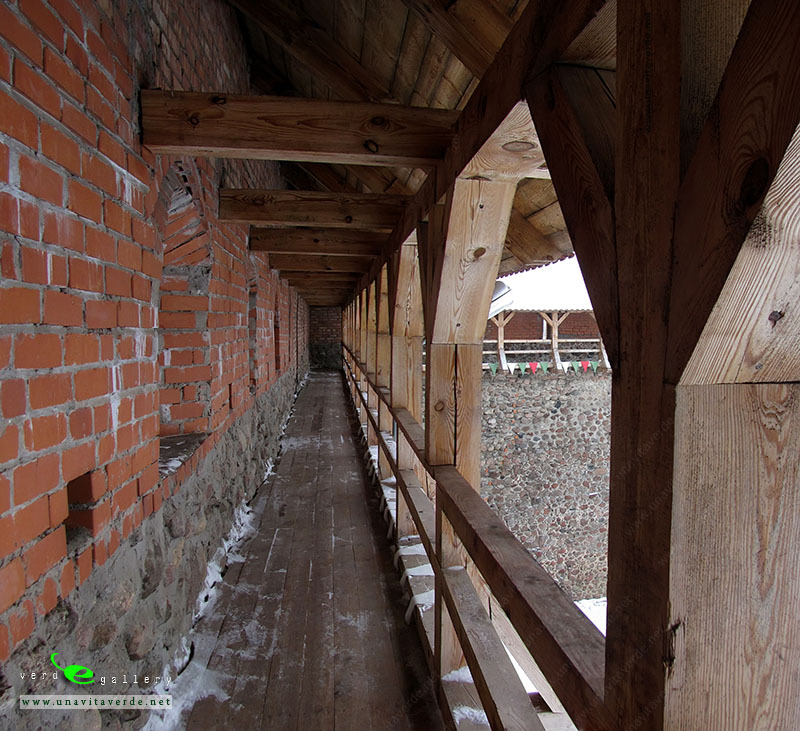 In 1863 and 1873, two beer factories were built in Lida. 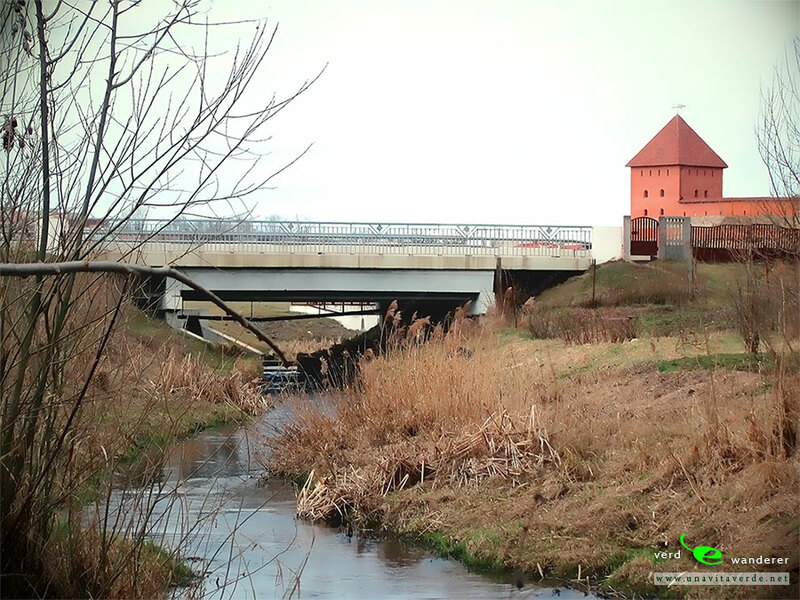 In 1884, the railway Vilnius-Lunenets was finished. 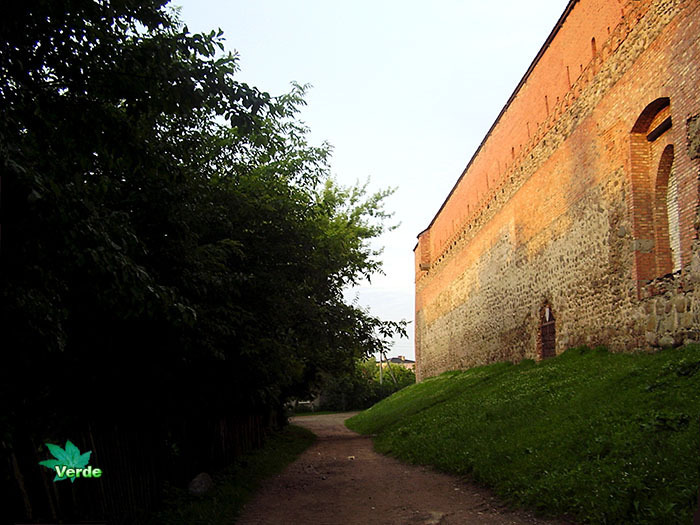 In 1907, the railway Molodechno-Mosty opened. The 1897 population was 8626 people. There is a mystical legend of the pine trees at Lida Castle. 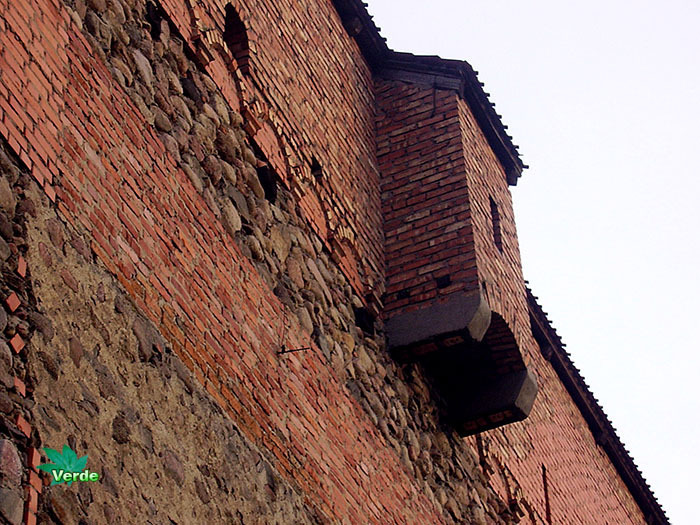 One day, nine Franciscan monks came to the castle to preach Christianity. 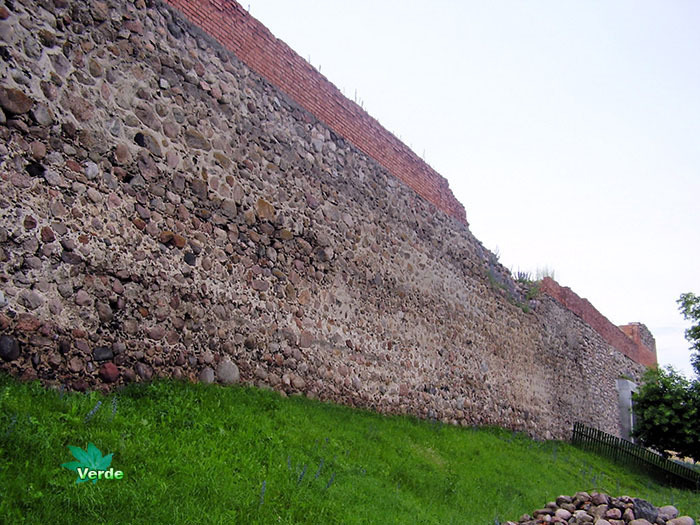 But local residents rejected the new religion, they killed the missionaries and the bodies thrown into a pit near the castle. In the place grew slender pine. By the time the townspeople have become Catholics. No one was cutting pine. But one day a plowman cut off a branch, and blood flowed from the branches. Since then, no one has dared to raise the ax to the trees. 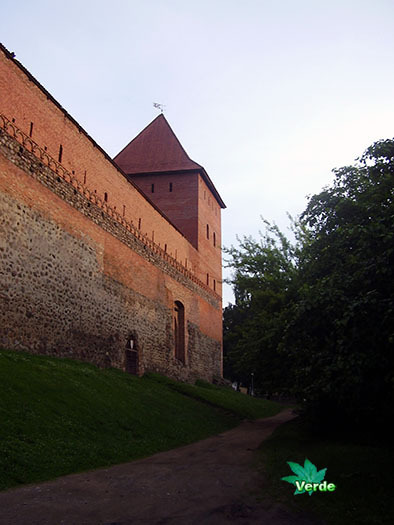 Today Belarusian castle in Lida town ( Лідскі замак – in belarusian, Лидский замок – in russian ) is one of successfully surviving castles of Belarus. 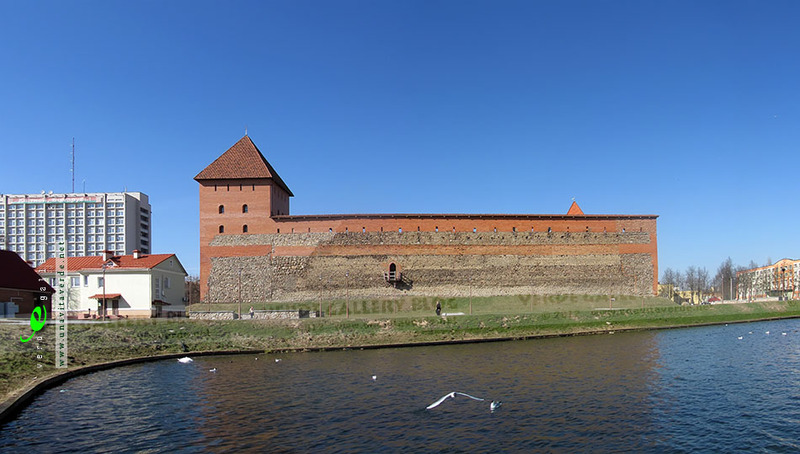 Get help with directions to Lida Castle, Lida, Hrodna Province, Belarus, using this map provided bellow. Pictures taken in 28 of June, 2009. 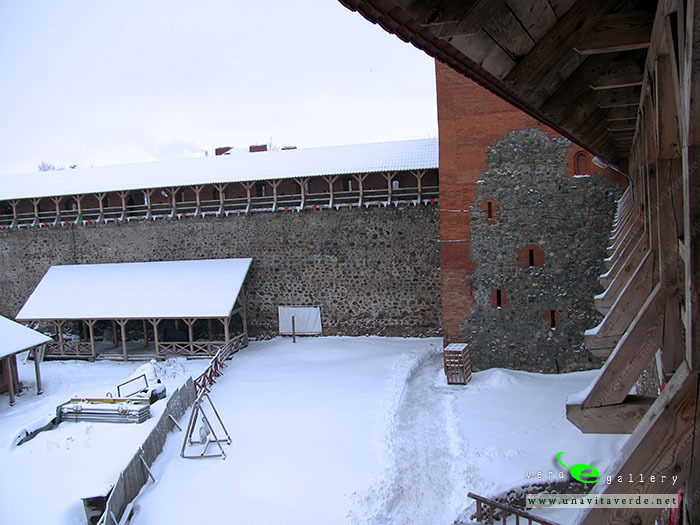 Lida Castle photos before the global restoration. Pictures taken in 12 of April, 2012 and 12 of January, 2013; 11 of July, 2015. 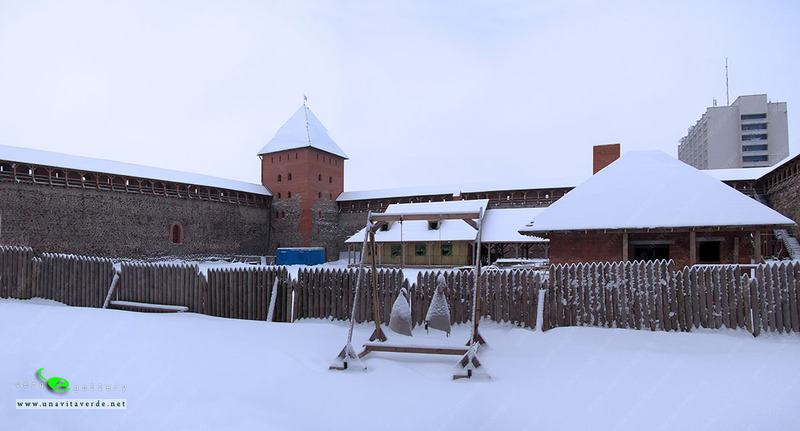 Lida Castle panorama after the global restoration. Next Raubichi Olympic Training Center for winter sports. Previous The summer & autumn forest.